The stirring and unrest of mankind continues. It will do so until more of us begin to realize that violence and unrest is the result of the violent thoughts and unrest that exists within the minds of men. It exist within each of us. Acts of violence begin like any other physical experience: they come from a thought, an idea in the minds of men. These thoughts, which are seeds that germinate in the human mind, have been passed on from the beginning of history, from generation to generation. It is like a chain, one link connecting to another link through the ages. Now more than ever, it is time to break this chain of violence and pain. The solution to ending this on-going planetary turmoil lives within each of us. You and I both have the power to break this chain of violence and pain. We can do so by ‘changing our minds about our minds’ and the relationship we have with them. On my own personal journey and the journey of countless others, I have come to learn that who I am, let’s call it my essential nature, and my mind, are not one in the same. How do I know this? I know this because in my life I have had thoughts of committing acts of violence. In fact, during my childhood, I did experience and participate in fights as a way of protecting myself and surviving. That may have been in a school yard, yet the root of that conflict comes from the same mind that commits terrorist acts of violence. Through personal transformation and awakening, I began to recognize a power within me that knows the ills and inappropriateness of violent acts. It is this core belief, rooted in thoughts of survival of the fittest, that has poisoned the mind of mankind. It is a belief that those who possess the most weapons of destruction are the ones who will survive. Thankfully, there is an antidote to this poison which permeates the mind of mankind. The antidote to violence is of course, peace. Peace in our world can only occur when we literally lay down our arms. We can, I believe, only lay down our arms when we lay down our arms in our conscious minds. 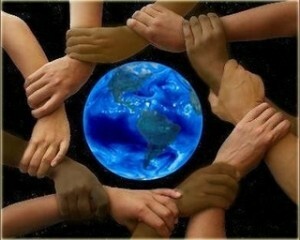 When you and I and everyone else on this planet makes peace with himself or herself, peace will then come to our world. I know this is a tall order. It is asking for the stars when we have the moon. It is asking for the mother of all miracles. Yet, I believe it can happen. Do you? The only way it will not happen is if you and I wait for the other guy to change so we can be at peace. Do not wait for the other guy! The human race has been waiting for the other guy to change for nearly 10,000 years. Do you want peace? Then, be it. This is your only true power. Defending ourselves through acts of violence only destroys what we seek to create. Ask yourself, “What do I want to create?”. Examine your thoughts and your overall mindset. Is it positive, uplifting and loving? Or is it negative, fear-based, angry and resentful? Do the words of Gandhi, Dr. King or Jesus reside in your thoughts? Thoughts of love, peace, compassion, hope and integrity? Or do you feel like you have to fight for what you want because if you don’t get ‘it’ someone else will? Be brutally honest with yourself! This is the only way we can change how we see ourselves and our world. And it is the only way we can effectively turn the tide toward peace and move away from violence. “There is no way to peace because peace is the only way.” Global peace is the only way. Global peace begins with inner peace. The current state of affairs of our world is simply an out-picturing of the state of our collective mind. I cannot change your mind and convince you to take the high road of peace, love and compassion. Nor can you convince me of it either. The only chance for global peace begins with the commitment to inner peace. The good news is, it doesn’t require the entire world population to achieve a state of inner peace. By possessing the power and miracle of inner peace, we positively transform the lives of those we come in to physical contact with. The number of people you and I can positively affect cannot be accurately calculated. We cannot begin to even imagine how many lives were changed over the centuries by Buddha, Jesus and Mohammed. Their essential nature resides in you and me. Seek that essence within you. Know that it is there. With patience, commitment and a willingness, you will find it. And when you find it, the world will be a better place! Do you want to learn how to create inner peace in YOUR life! Contact The Possibility Coaches for a complementary introductory coaching session. Previous PostDiscovering Your GreatnessNext PostLetting Go Leads to Real Freedom! Thank you, Jon and Chris! Your peace touches my life and the lives of others daily. May God bless both of you as you share with the world the possibilities that exist for all who are willing to transform. I listened to it very carefully today on You tube. I feel it goes very nicely with this article. Thanks again!